2. "I was not born to die on Brutus' sword." 4. "Madam, what should I do? / Run to the Capitol, and nothing else? / And so return to you, and nothing else?" 8. "But I am constant as the Northern Star, / Of whose true-fixed and resting quality / There is no fellow in the firmament." 14. "Beware the ides of March." 17. "Liberty! Freedom! Tyranny is dead!" 18. "So, I am free; yet would not have so been, / Durst I have done my will." 19. "O, look, Titinius, look, the villains fly! / Myself have to mine own turned enemy." 20. "They would not have you stir forth today. / Plucking the entrails of an offering forth, / They could not find a heart within the beast." 1. "And I am Brutus, Marcus Brutus, I; / Brutus, my country's friend; know me for Brutus!" 3. "Indeed, it is a strange-disposèd time: / But men may construe things after their fashion, / Clean from the purpose of the things themselves." 5 "Let me go in to see the generals; / There is some grudge between 'em; 'tis not meet / They be alone." 6. "This was the noblest Roman of them all. All the conspirators save only he / Did that they did in envy of great Caesar." 7. "Hold then my sword, and turn away thy face, / While I do run upon it..."
9. "So every bondman in his own hand bears / The power to cancel his captivity." 10. "Alas, my lord, / Your wisdom is consumed in confidence. / Do not go forth today." 12. "...how weak a thing / The heart of a woman is! O Brutus, / The heavens speed thee in thine enterprise!" 13. "Hence! Home you idle creatures, get you home! / Is this a holiday?" 15. "By your leave, gods. this is a Roman's part: / Come Cassius' sword, and find Tintinius' heart." 16. "Mistrust of good success hath done this deed." 1. 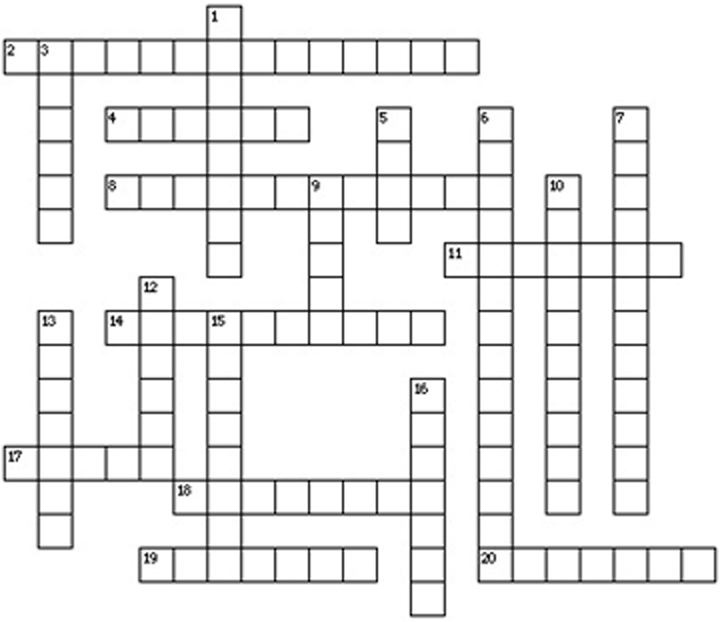 Complete the crossword above using the names of the speakers for each of the quotations or by finding the appropriate word to fill the blank in the clue. 2. Make a chart categorizing the characters as loyal to Caesar, opposed to Caesar or neutral. Provide one quotation to support each of your judgements. 3. Find two quotations that relate to the same theme. Find two other quotations that relate to the same theme within the play. Integrate the four quotations into an expository paragraph explaining Shakespeare's insight into the particular theme. Characters from Shakespeare's Julius Caesar Answer Key Page.